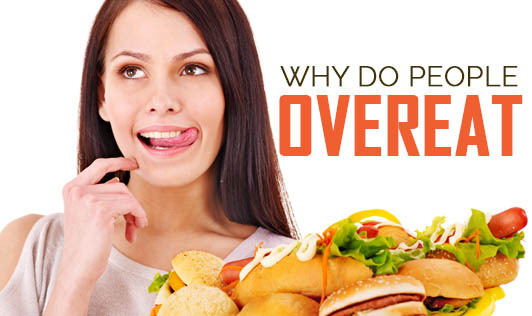 People tend to overeat when they have nothing better to do. Many people end up lazing around the television and eat just for the sake of eating. Some people get used to overeating out of habit and become comfortable eating more than they need. Emotional eating is common among people facing stress and anxiety. Many people tend to overeat to sublime their frustrations. People who eat fast tend to eat more because, eating fast does not allow the brain to react to the satiety signal given by the body and they continue feeling hungry and eat more. People, who reward themselves with food every time they do something good, often tend to overeat. Now that you know why you're overeating, hope you change your eating habits and achieve your health goals.